Birmingham Bail Bonds - 24 Hour Emergency Bail Bondsman in Birmingham and Jefferson, Shelby, Montgomery County, Bibb, and St. Clair, AL | Across from Birmingham City Jail - Birmingham Bail Bonds. MOST TRUSTED in Jefferson County, Shelby County, Bibb, and St. Clair County, AL. We are surety bail bondsmen servicing Central Alabama, providing fast bail bonds service directly with Jefferson County, Shelby County, Madison County, St. Clair County, Bibb County, Montgomery County, Blount County, Cullman County, Talladega County, Coosa and Chilton County, and Tuscaloosa County Jail. 24 hours a day, 7 days a week. Getting locked up can be a scary situation for everyone involved. When you need fast and dependable bail bond service, look no further than Fresh Out Bail Bond, Inc.
Quick, discreet bond services at some of Central Alabama's most affordable prices. 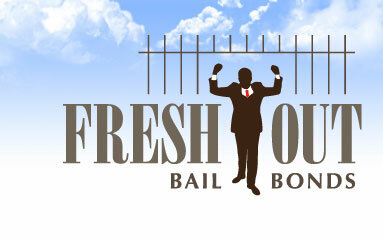 Fresh Out Bail Bond, Inc. is the MOST TRUSTED AND RECOMMENDED bail bondsman serving clients throughout Central Alabama! We specialize in providing the best in customer service, fastest in case resolution, and handling your case with extreme discretion. This is how we’ve become one of Alabama’s most recommended Bail Bonds Agencies. Call us now, (205) 957-6541 to speak to one of our bail bondsmen. They will assign your personal Certified Bail Agent (CBA) to your case and quickly help you locate and post bond for the inmate.